Launched in 2012, Purplle.com is an online personal care and beauty products platform serving both men and women across different categories like skin care, makeup, body care, beauty appliances etc. The startup had raised an undisclosed amount in its Series A funding from Blume Ventures, Mumbai Angels and Chennai Angels last year. The Mumbai based startup was founded by Manish Taneja and Rahul Dash. Recently, we caught up with Rahul Dash Co-Founder and COO of Purplle.com to know how the startup is doing, its targets for this year and tips for startups planning for a venture under this category. Inc42: What made you launch a startup in beauty products? How big is the market opportunity in this category? Rahul: The category is about $5 Bn for products and $3 Bn for services. This market is growing at 15-20% YoY. There is a huge unaddressed market which can be tapped through the online channel. Purplle.com will bridge that gap. Inc42: What was the idea behind launching Purplle Salon and Spa Finder? How has been the overall response of the service and how many cities are you planning to roll out this service to? Rahul: Beauty and Grooming Services forms the 2nd pillar of consumption and is about $3 billion industry. A big part of the market is unorganised and provides a huge opportunity. We have launched Purplle Salon and Spa Finder in 5 cities (Mumbai, Delhi, Gurgaon, Bangalore and Pune) with 5000 salons and spa. We are currently attracting around 2-2.5 lakh visitors on this platform a month without any significant marketing investment. We are looking at scaling this up to 10 cities by end of this year. Inc42: Who is your competition? Rahul: We compete directly with Large E-tailers like Flipkart, Myntra, Jabong who have a section of personal care and beauty in their catalogue. At the same time, the Salons and Spa aggregation platform is the first of its kind in India with limited competition except probably Burrp.com up to an extent. Inc42: What is the one thing that differentiates you from the other players? Do you think there is room for other players in this category? Rahul: Our approach towards addressing the problem is what differentiates us. We do not think beauty and grooming can be sold beyond a limit with just a catalogue. The market is huge and has not been captured by any dominant agency yet. At the same time, it is a long gestation game and being cost effective in scaling up is going to be the key to market leadership in the longer run. 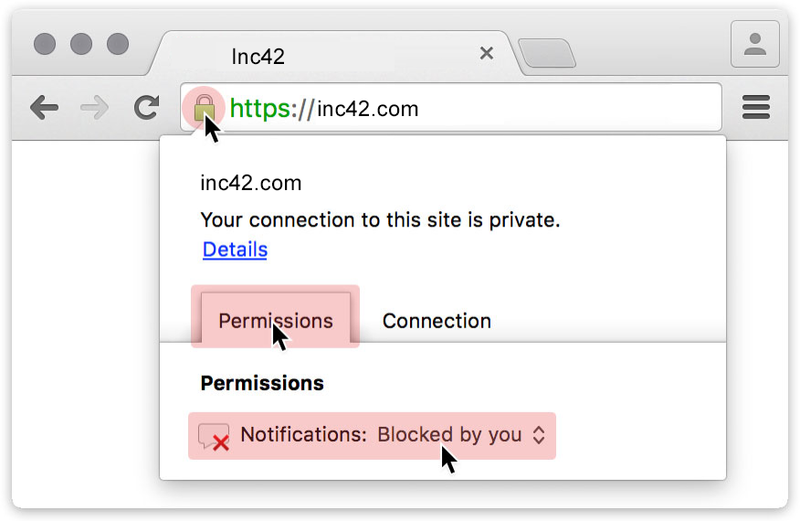 Inc42: Can you please share the number of categories and products available on the website? Rahul: We have around 400 brands and 10,000 products. This is spread across 8 major categories and 60 odd sub-categories. Inc42: How has been the customer response so far? Tell us about the user demographics, month on month visitors etc? Rahul: We have seen amazing traction and in two years we are servicing a million customers a month on Purplle.com. 50% of the orders come from outside of the 8 metros and 60% of the visitors are females. Inc42: How much revenue are you earning? How much is the profit margin in this category? Rahul: Last year our revenues grew by 4-5X. We are looking at a similar growth target for this year and have target to reach 1000 crores GMV in 3-5 years. There are healthy profits to be reaped in the category but it needs a smart play. Inc42: What are your plans for this year? In terms of expansion, revenues etc? Rahul: We are looking at scaling the product GMV by 4-5 times and the salons revenue by 10 times by the end of this year. Inc42: Purplle.com had raised Series A funding round last year, how did it help you in growing up the overall business? When are you looking to raise the next round of funding? Rahul: The round was raised for operations and technology scale up. We have moved our fulfilment center and enhanced our backend technology. We have kept the conversation with potential investors warm from the time last round was raised and are evaluating the right partner for the next phase of growth. Inc42: How big is your team right now? Rahul: We have a team of 35. Inc42: Nowadays finding a co-founder who compliments with your thinking is a difficult task. What would you like to comment about this? Does a cordial and understanding relation among the co-founders have a major role to play in company’s success? Rahul: Very difficult to find and even more to sustain. Goal alignment and Maturity plays a huge part in how the relationship pans out. My flatmate was my co-founder, so it was always easier. Inc42: Any tips, suggestions for the entrepreneurs who are planning to launch startup under this category? Rahul: Be clear on motivation behind starting up and find a good team.